Motorists who prioritise green credentials when buying a car may welcome an announcement from Vauxhall. 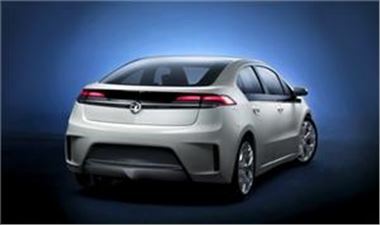 The manufacturer revealed at the Geneva auto show this week it intends to start producing the electric Ampera model for the UK market in 2012. It described the car as a clear demonstration of its expertise in and commitment to the area of eco-friendly driving. Carl-Peter Forster, European president of General Motors, said: "Its ground-breaking Voltec electric propulsion system is the kind of game-changing technology the automotive industry needs to respond to energy and environmental challenges." The vehicle can be charged via any household 240V outlet. During journeys of up to 40 miles, it relies purely on its battery and for longer trips, an on-board generator kicks in, which can increase the car's range to more than 300 miles. A previous statement from Vauxhall described the Ampera as offering plenty of space for passengers and technologically-advanced equipment.